If you’ve ever taken a drive or a stroll down Richmond Terrace on Staten Island, you may have gone by The Pavilion on the Terrace, which has been closed for 12 years. The building was first constructed as a residence in the year 1835 and then in 1965 started operating as a banquet hall until its eventual close in 2005. Since its closure, this historical treasure has been sitting and waiting for new life and that new life has come. EPS Contracting, a Staten Island-based company, is currently rebuilding and renovating the property for owners Kecia & Devone and they have hopes to complete and be able to cater to their first customers by May of 2017. The property will be a 170 seat catering hall and restaurant. Operated by Melissa and David Mazzei, EPS is a second generation restoration company. Melissa and David grew up watching their father, Ettore Mazzei, restore a dozen historic projects over their lifetime. 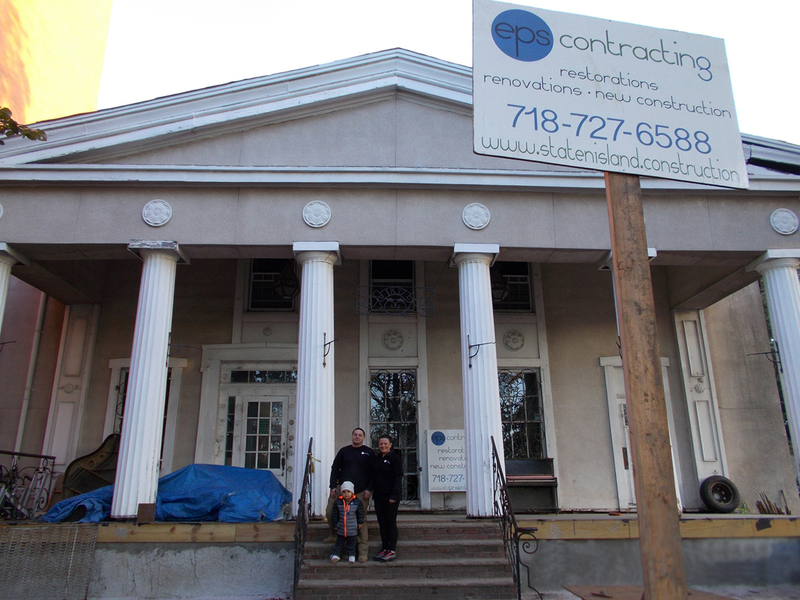 The process inspired them to start their own construction restoration company; EPS Contracting. You can read David and Melissa’s full comments in the rest of the article, here.